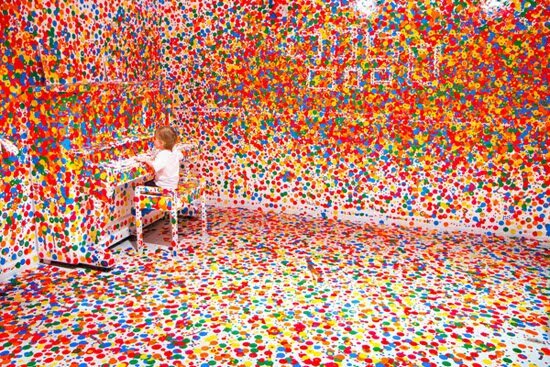 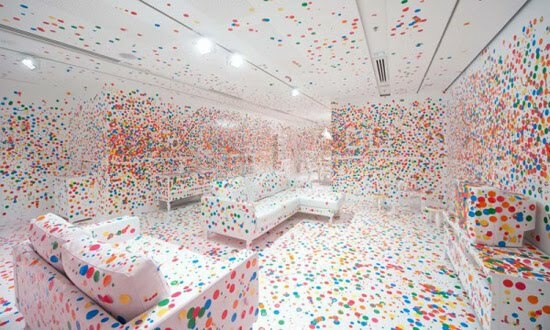 An interactive art by the artist Yayoi Kusama. 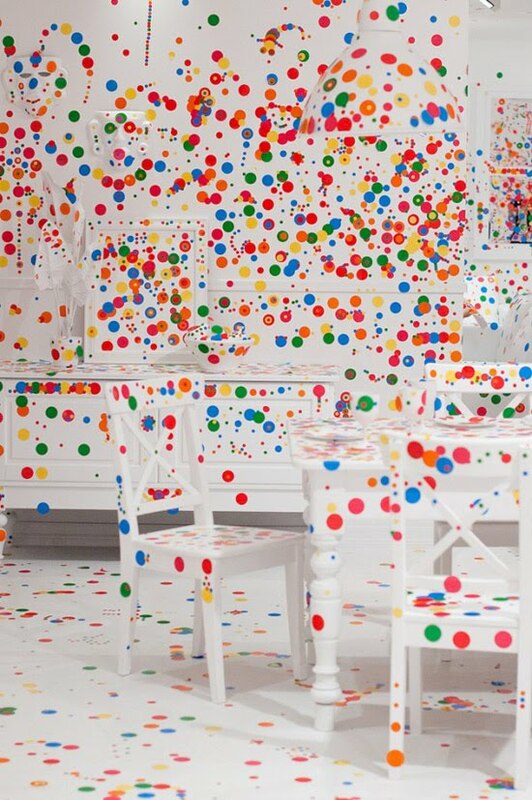 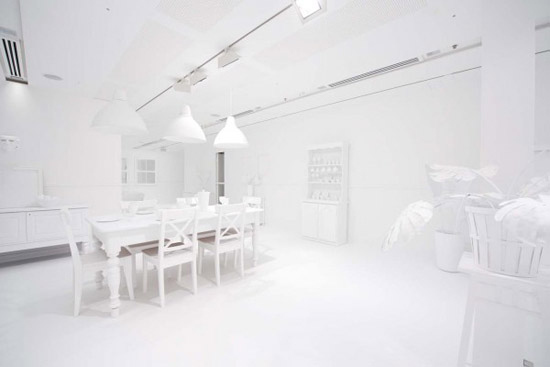 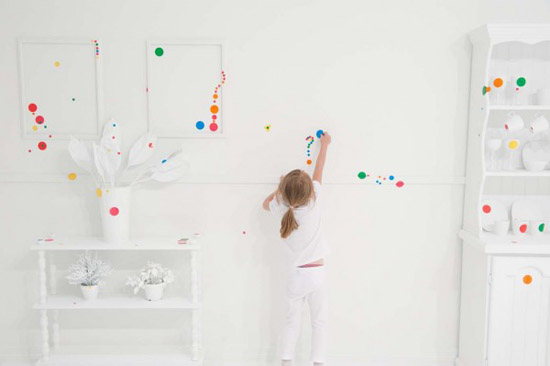 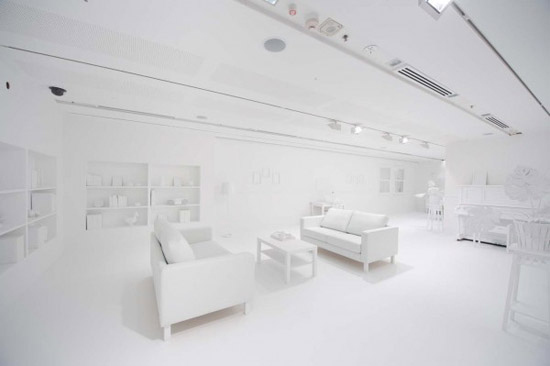 Installation view of the Obliteration Room 2011 / Furniture, whitepaint, dot stickers / Dimensions variable / Photograph: MarkSherwood. 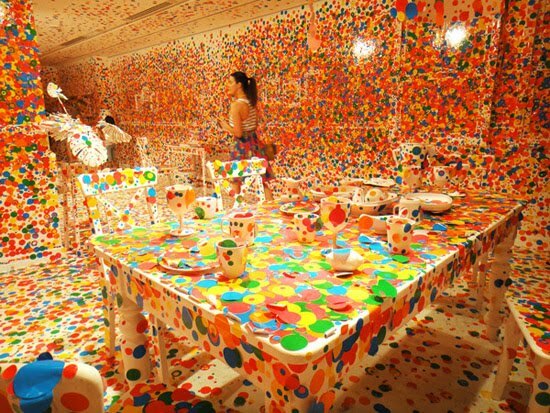 Yayoi Kusama is one of the most exciting and prolific artists working today. 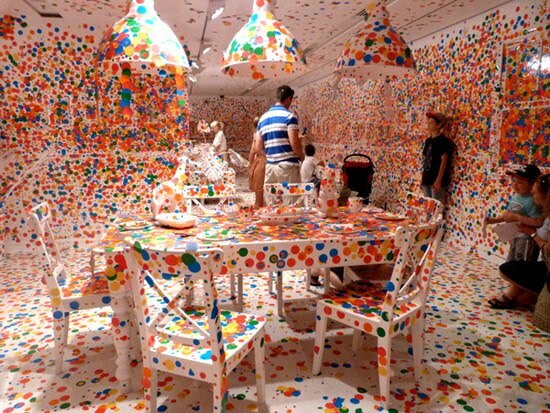 With a practice encompassing performance, film-making, painting, drawing, sculpture, installation, fashion, poetry, fiction and public spectacles (or 'happenings') over some 60 years, this leading Japanese practitioner has been widely acknowledged as a major influence on several generations of contemporary artists.